For help in a life-threatening situation call 911 or your local County or City Emergency Operation Center. Contact your insurance company as soon as possible to report damage to your house, vehicle, boat, or other property. Most insurance companies allow you to report claims by telephone, email, or online through their websites. Be prepared to provide an accurate description of any damages. Make sure to get a claim number and write it down, since it is the quickest and easiest way for insurance companies to locate your file. Ask the company when you expect to be contacted by an insurance adjuster. Document your loss with pictures and video, if possible, and include a list of damaged personal items. Include the date of purchase and approximate value of any damaged items and include receipts when possible. Keep good records of anything you spend to make immediate repairs to secure your home or vehicle, as well as receipts for hotels and rental cars, if you are unable to return to your home or your vehicle is disabled. Check with your insurance company before discarding damaged items. You typically need to show them to your adjuster, but if you are required to discard them for safety reasons, take photographs to help with claims. Keep a claim diary. Start a notebook with contact information of the people you deal with from your insurance company. Make a list of everyone you speak to and note the date, time, and issues discussed. Sign up for text alerts. 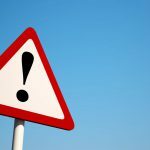 Many insurance companies use SMS/text alerts to notify you of the status of your claim. You’ll get messages when you first report your claim, when your estimate is available, and when a payment has been sent. Is there a deadline to file an insurance claim? Most insurance policies do limit the time you have to file a claim to 12-24 months from the date of the incident that caused the damage. Myth Debunked: There have been some misleading news stories that victims of Hurricane Harvey have to file their insurance claims before September 1, 2017. This is not true. There is a new state law that goes into effect on September 1, 2017 that reduces some of the penalty damages you can recover from your insurance company if you file a lawsuit against your insurance company. This law does not change the insurance claims process or your ability to dispute the amount of your loss with your insurance company. Additionally, this law does not affect flood insurance policies or claims, which are provided through the National Flood Insurance Program. 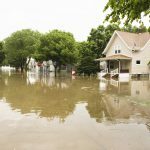 Is there anything different about flood insurance? If you have a flood insurance policy through your private insurer, more than likely it is operated through the National Flood Insurance Program which is a division of FEMA. To file a claim under your flood insurance policy, you need to contact your insurance company and follow the same steps as listed above. Your insurance company will help you complete the necessary paperwork and inspections required by the National Flood Insurance Program. You can find more information about the National Flood Insurance Program here: https://www.fema.gov/nfip-file-your-claim or call 1-800-427-4661. What is the FEMA Individual Assistance Program? The FEMA Individual Assistance Program provides assistance to individuals and households who are uninsured or underinsured. It is important to understand that FEMA assistance is not a substitute for insurance and cannot compensate for all losses caused by a disaster. The FEMA Individual Assistance Program provides housing assistance to individuals and families who have lost their homes as a result of a presidentially-declared disaster. 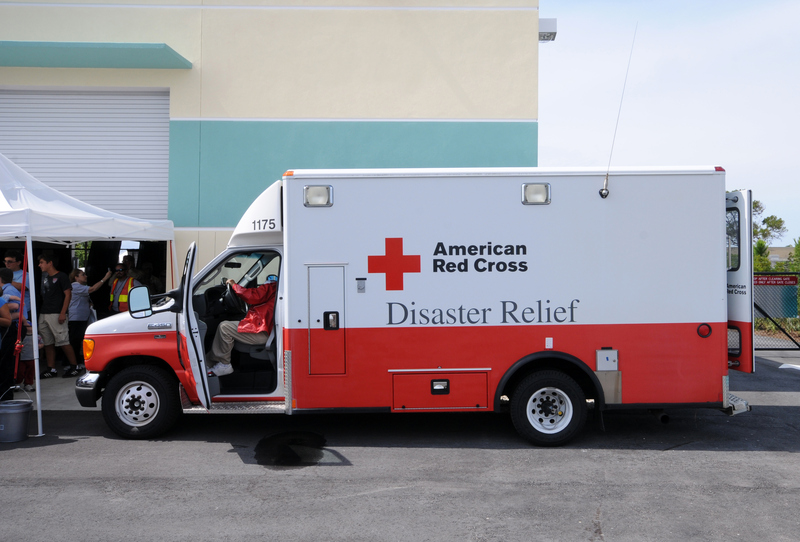 The FEMA Individual Assistance Program also offers disaster assistance for some other disaster-caused expenses including, medical and dental care, child care, essential household items, some clean-up items, moving and storage, vehicle, and funeral and burial expenses. You can apply for FEMA assistance in one of 4 ways: (1) online at DisasterAssistance.gov; (2) by phone 1-800-621-3362; (3) at a Disaster Recovery Center (DRCs) (which you can locate at https://asd.fema.gov/inter/locator/home.htm); or (4) with a Disaster Survivor Assistance Team. You do not have to be a legal U.S. resident to receive FEMA Individual Assistance. If you have a child living at home who is a U.S. Citizen or a qualified alien, you may apply for Individual Assistance on that child’s behalf and you may be eligible to receive Individual Assistance. FEMA may provide undocumented, eligible immigrants with short-term, non-cash emergency aid. What counties are currently eligible for FEMA Individual Assistance? Aransas, Bee, Brazoria, Calhoun, Chambers, Colorado, Fayette, Fort Bend, Galveston, Goliad, Hardin, Harris, Jackson, Jasper, Kleberg, Liberty, Matagorda, Montgomery, Newton, Nueces, Orange, Refugio, Sabine, San Jacinto, San Patricio, Victoria, Waller, and Wharton. Is there a deadline to apply for FEMA Individual Assistance? The current deadline to apply for FEMA Assistance is Tuesday, October 24, 2017. However, that deadline may be extended. Is it possible to get an extension of an IRS tax filing or payment deadline? The IRS announced that taxpayers that live in areas designated by FEMA as qualifying for individual assistance have until January 31, 2018 to file returns and pay any taxes that were originally due on or after August 23, 2017 and January 31, 2018. The September 15, 2017 and January 16, 2018 deadlines for making quarterly estimated income tax payments. It includes 2016 income tax returns that received a tax-filing extension until October 16, 2017. For businesses, it includes the October 31, 2017 deadline for quarterly payroll and excise tax returns and the 2016 income tax returns. Additionally, the IRS is waiving late-deposit penalties for federal payroll and excise tax deposits normally due on or after August 23, 2017 and September 7, 2017, if the deposits are made by September 7, 2017. The IRS tax relief does not include payments related to 2016 tax returns. Do you need to contact the IRS to take advantage of this relief? If your address of record with the IRS is located in the disaster area, the IRS automatically provides this filing and penalty relief. However, if you live in an affected are and you receive a late filing or late penalty notice from the IRS that has an original or extended due date that falls within the postponement period, you should call the number on the notice to have the penalty abated. If you live outside the disaster area, but the records you need to meet a deadline occurring in the postponement period (Aug. 23, 2017-Jan. 31, 2018) are located in an affected area, you need to call the IRS at 1-866-562-5227. What counties are currently eligible for this tax relief? After a disaster, scams, misinformation, and rumors spread fast. One way to verify the accuracy of the information you are receiving is to check the FEMA Hurricane Harvey Rumor Control webpage, which you can locate here: https://www.fema.gov/hurricane-harvey-rumor-control. To find a trusted organization to volunteer or donate to recovery efforts visit the following webpage: https://txvoad.communityos.org/cms/node/104. If you want to give to a specific organization, type its name into a browser and go directly to their webpage. Don’t click on links sent to you by email and watch for organizations that are using names that closely resemble better-known reputable organizations. If you run across an organization that you fear might be fraudulently collecting donations, call the National Center for Disaster Fraud hotline 1-866-720-5721 or the Texas Attorney General’s hotline 1-800-621-0508. Call the State Bar of Texas legal hotline at 1-800-504-7030 for toll-free answers to basic legal questions. The Texas Association of Business has established a hotline to provide resources to business owners affected by the storm. Call 1-512-637-7714. You may publish the information sheet on your website or on social media, or print it for distribution, for non-commercial purposes. Download this information sheet in Spanish here.